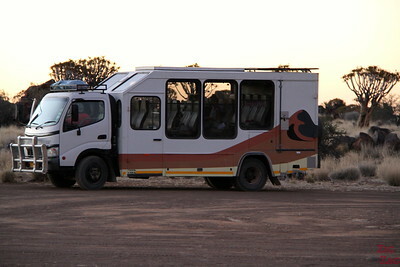 Discover my detailed review of the Wild Dog Safari 2 week tour in Namibia. 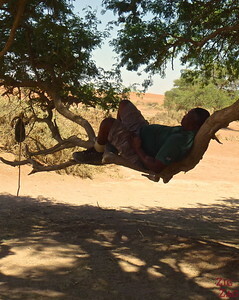 Wondering how I saw all these amazing locations in Namibia? Well it is easy to self drive there, but it was one of my very first big trip so I opted for a small group tour. 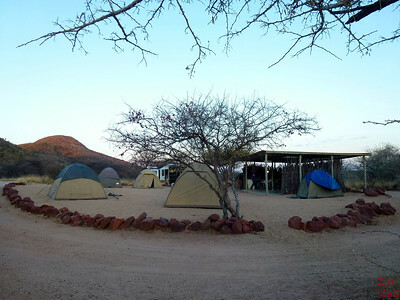 Here is the independent review of my 2 week camping trip with Wild dog safari. 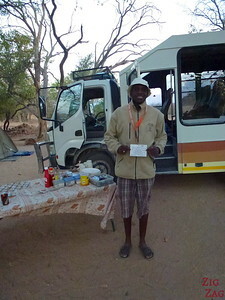 Before entering details, I will start this review by saying that my main problem with my Wild Dog Safari is that now I compare all my trips to it and they just do not measure up… Between the beauty of Namibia, my first experience of safari and the fact that Ilove camping,this was really some fantastic two weeks. Of course not everything was perfect; and if you want your own toilets next to you and just unpack your own luggage, this trip is not for you. 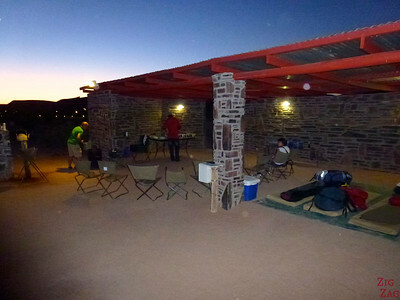 I personally find that camping is a great way to get to know the other travelers and to feel closer to nature. And although we need time to build the tent and put it down I find we wasted very little time compared to a trip in hotels. 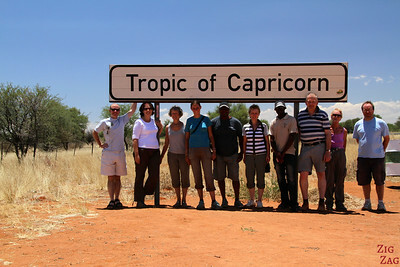 The 2 week Namibia Experience of Wild Dog Safari is a combination of their South Tour and North Tour. 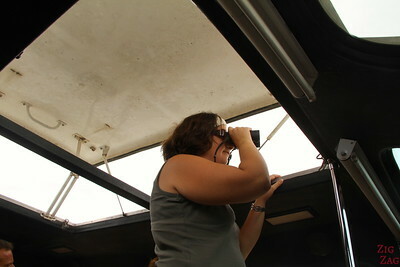 The South tour covers a lot of different landscapes and the North tour is more focus on wildlife. 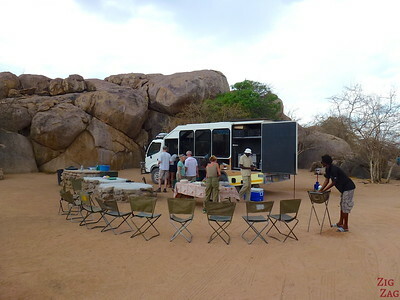 I was very satisfied with the itinerary which allowed us to see a large variety of places and sceneries. Of course, this is a big country so we had a lot of time in the truck but as the views were inspiring, it did not feel that long. My only negative comments here would be that the loop to Lüderitz and the ghost town Kolmanskop felt unnecessary. People choosing this tour are interested in landscapes and there was not much there. However I can understand that some people might enjoy the history. As we were not more than 10 on these group tours I did we had plenty of space and we all could see very well with the huge windows which can be moved down to take pictures. 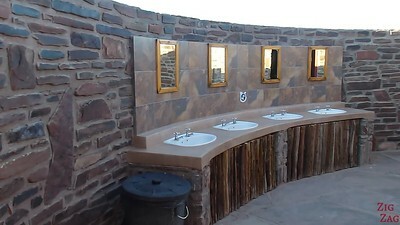 It also as a roof that opens for game viewing. Tents are spacious (enough for 2) and in reasonable conditions (Considering how much they are used, assembled and disassembled). However be aware that they do not supply pillows! 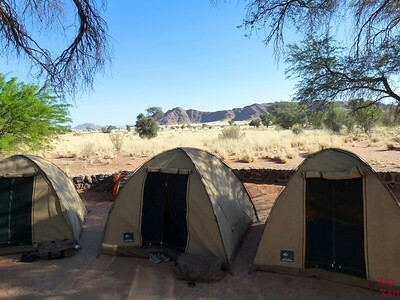 We had very different camps from the very charming one part in a private farm, to the big one in Etosha National Park (no charm there but so close to a waterhole that I will have a great story to tell you). Again very different facilities in the various camps. I have no picture of the less interesting ones but they were always clean. 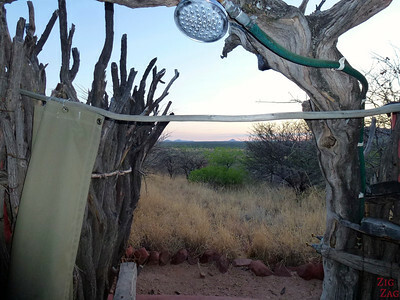 And in this camp we had a shower with a view over nature – loved it! In Lüderitz and Swakopmund, rooms were very simple but nice. The hotel in Lüderitz had just had a fire in the kitchen so they organized for us to have breakfast at a café nearby which was very nice. Food was good. My only problem here was the quantity available for lunch. I am French and a small sandwich is not sufficient for me… you know French people, we looove our lunch with entree, main, bread and cheese and dessert….not a few things between 2 slices of bread! Well you can never be sure with guides… We had 2 differents for the first and the second tours. 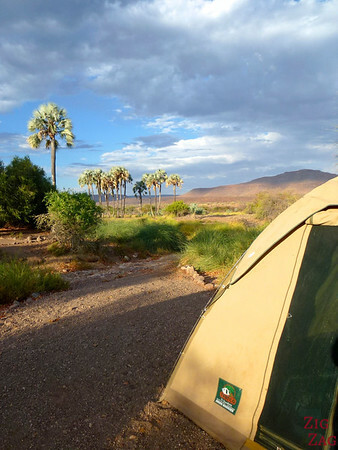 When I was doing research before my trip I found a YouTube video about the 10 day Namibian explorer﻿ with Wild Dog Safari. That can give you a feel for it. Zoe – thank you so much for posting this. I hadn’t expected nearly as comprehensive a response. It’s fantastic to have a first person perspective on what to expect with this company, as I’m in the midst of reviewing options. This definitely sways me more towards going with them. My goal is to write on this blog info I would like myself to find when planning a trip. Thanks so much for posting this review. We’re not the kind of people who enjoy guided trips– like to do things ourselves, but didn’t have a lot of time to plan, nor to be there, so we were really on the fence, having *such* a hard time deciding, and when we read your review, we called and booked right away. A good review can make a big difference! We’re leaving in a week, and really, really, REALLY excited about it! I am glad you found it useful and hope you will have an experience as amazing as mine. Savor each moment of it!